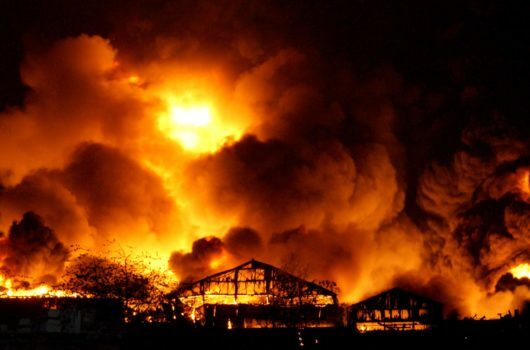 In early December 2014 a catastrophic fire destroyed part of and severely damaged most of the remainder of an industrial estate in Staines. The problems of the fire damage to the estate were further exacerbated by the discovery of asbestos in the building construction and the fire burning for some days before being finally extinguished. Our clients, although not suffering direct fire damage had severe smoke contamination in the warehouse containing their stock. At the initial meeting with our clients and after reviewing the insurance policy documentation it was immediately discovered that although there was cover for Additional Increased Costs of Working there was no Business Interruption cover in place. This meant that there was no financial support for the business relating to any shortfall in turnover being suffered as a result of the loss. This created an added urgency to resolving the various issues surrounding the preparation and settlement of the Stock claim. Swab tests were immediately arranged to check for asbestos which fortunately were found to be negative. The vast majority of affected Giftware and Baby stock was specifically branded to meet customers’ requirements and the markets in which they operated. A significant part of the branded stock was Baby products where hygiene was, additional to branding, of paramount importance. These constraints meant that none of the smoked damaged stock could, under any circumstances, be sold to any of the customers that our client had business relationships with nor could it be disposed by the normal salvage route. 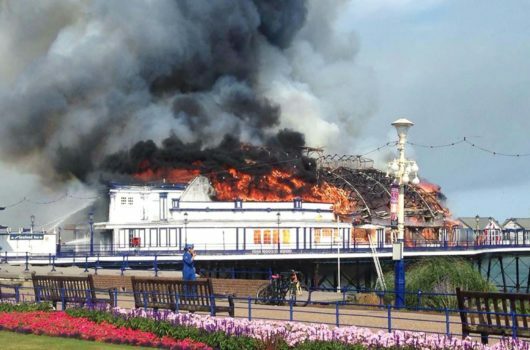 It was first necessary to negotiate with the Loss Adjusters that none of the stock could be disposed of to any salvage dealer because of the sensitivity of the branded names or to put at risk any baby/child who may have come into contact with any of the smoke damaged stock. This was successfully agreed and our clients retained control of all damaged stock with only a small reduction in the overall value of the settled stock claim. 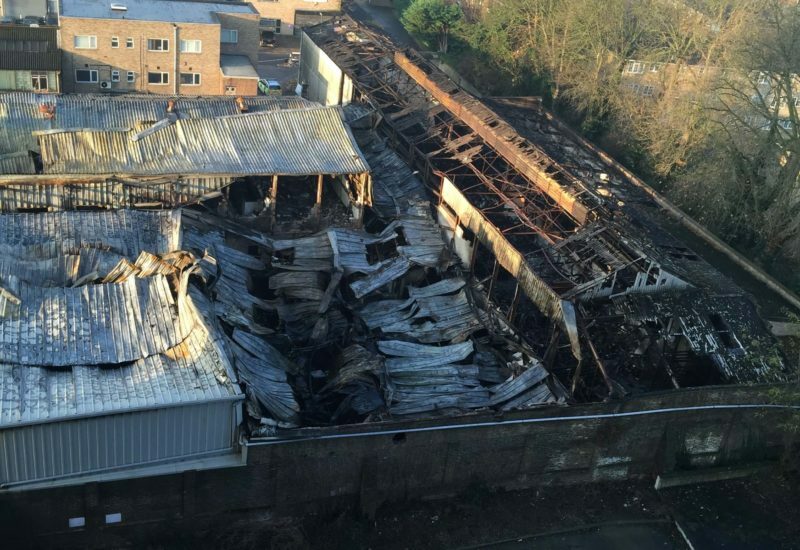 Temporary premises were immediately found to enable the transfer of smoke damaged stock thus giving the Landlord empty premises to expedite the cleaning of the smoke damaged warehouse. The costs for the temporary storage were dealt with as part of the Additional Increased Cost of Working cover that was in place. Incoming new stock was also stored in separate temporary storage facilities to ensure that there was no cross contamination with the smoke damaged items. Once the premises had been cleaned and were fit for purpose the new stock was transferred back and the warehouse and continued operations as normal. The smoke damaged stock was disposed of in a safe and effective manner to make sure that there was no possibility of our client’s customers having any concerns about branding or smoke contamination.